I’ve reached the ends of the reeded columns for my tall clock. Literally. 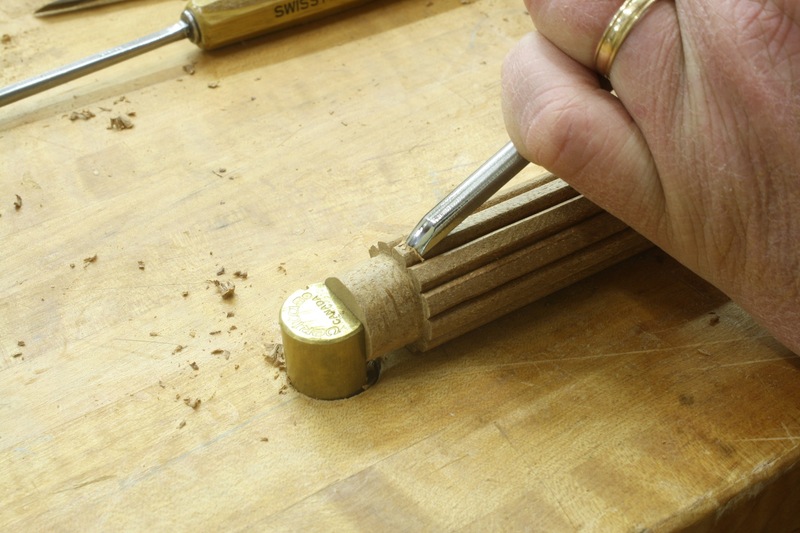 The last step is to round the ends of each reed. I thought I might be able to speed this process along using a lathe to round the ends in one fell swoop, then just touch them with my carving gouge. That, however, was a waste of time – and one good column. Spinning the column at the lathe again meant that I needed to locate the centers, load the workpiece accurately and have it spin dead-on. Looking back, I should have known it wasn’t going to work. But sometimes I’m pig-headed and have to prove myself wrong before I turn to other methods. Boy was I proved wrong. I then turned to my carving tools. There are eight column, each with 12 reeds. That’s a whopping 192 reeds that needed round ends. (That’s why I was looking for a speedier solution.) I matched the reed shape to my closest-sized carving gouge, which turned out to be a #9, 5mm tool. The process is easy once you get started. 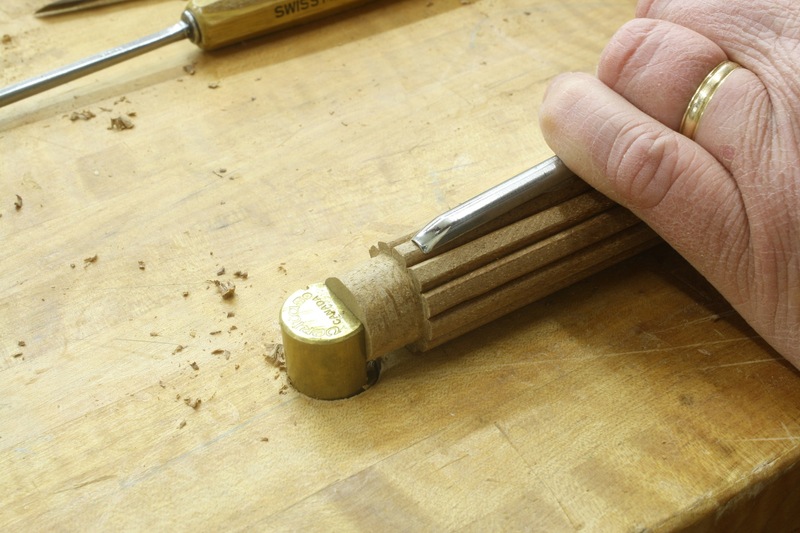 The gouge is inverted on a reed, set close to the end then pivoted upward as the cut is made. It takes a couple of passes to get the end shaped as needed, and to keep the ends aligned with one another. The series of photos below show the actual movement. 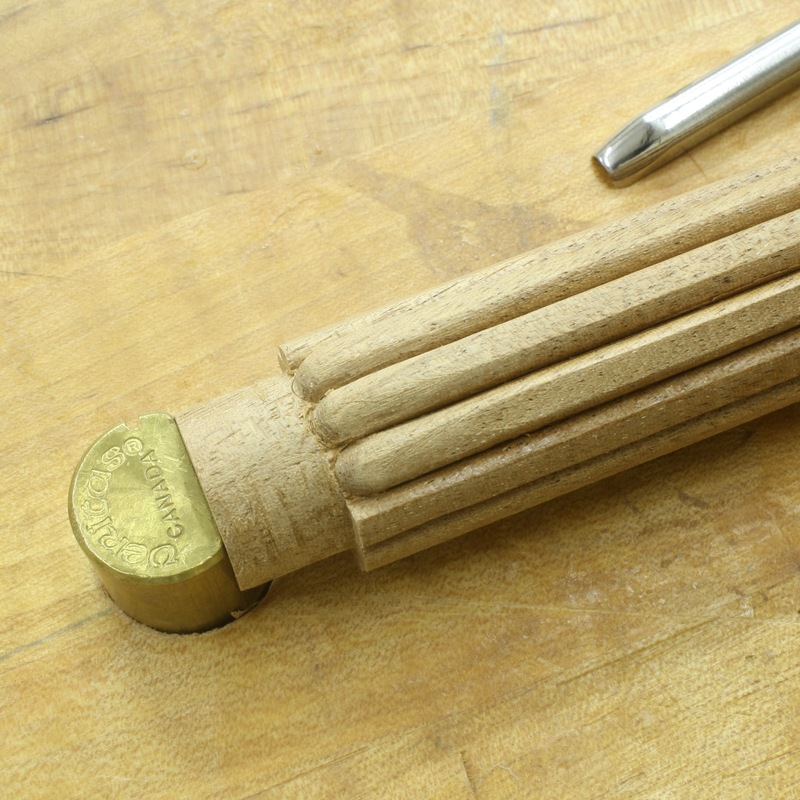 The opening photo shows three completed reeds. Of course, there was more work to do. 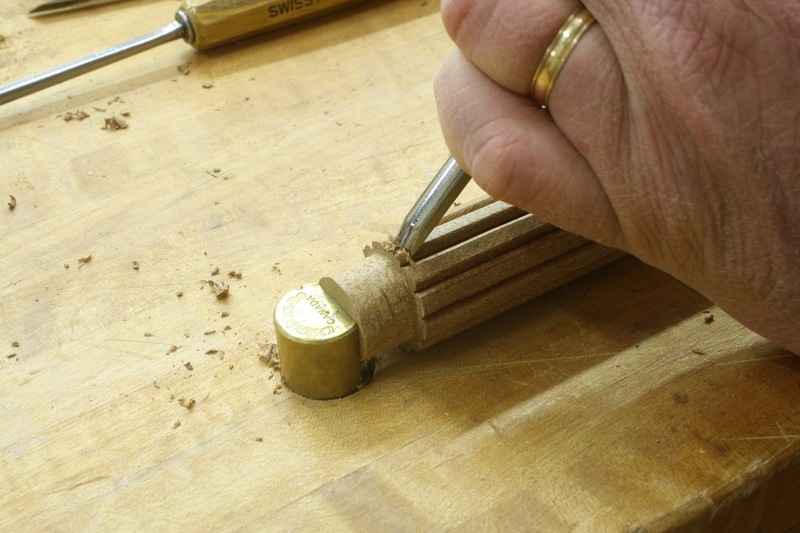 Each of the reeds needed to be worked a little for a better rounded shape. (I should have set the scratch beader a bit deeper, but hindsight is, well you know.) 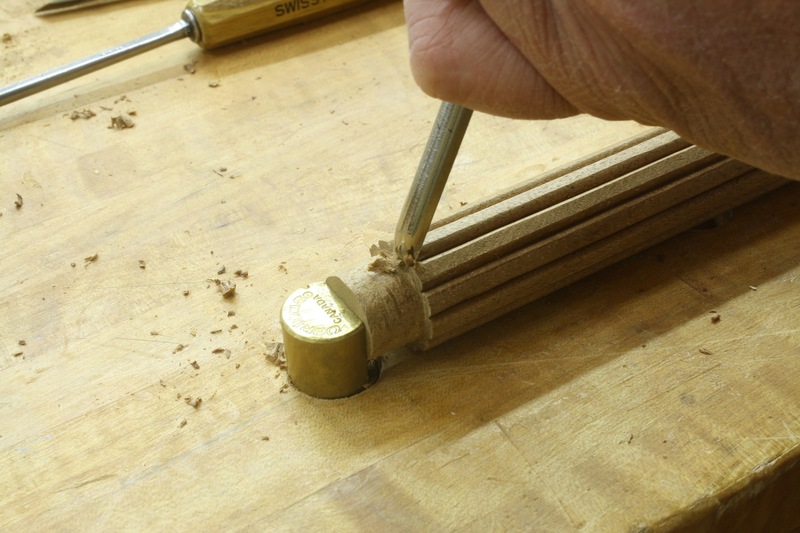 Each end was shaped and each reed has been sanded smooth. I should wrap up the hood work this week. A few inlaid blocks is all that’s left. We’ll see.